As reported in July, about 20 new breweries commenced operations in Australia in the first half of 2017. It is now possible to detail the new breweries in the subsequent six months, and to present an estimate of the number of new breweries for the whole of the year. As usual, my inclusion criteria are that the ‘brewery’ must be an actual installation of beer-making hardware, and that it must have begun commercial beer production during the time period in question, the calendar year. Also as usual, it is possible that I have overlooked a few new additions (though hopefully not more than that), so input from readers is requested to achieve a more complete picture. Several breweries were getting very close to starting in December, and perhaps a few of these did sneak under my radar and into operation before the year’s end. At West Leederville in Perth’s inner western suburbs, Nowhereman Brewing Co. fired up its 18-hectolitre three-vessel Premier Stainless Systems brewhouse early in the second half of the year. Situated in a principally commercial precinct, Nowhereman combines a beer production facility with a spacious licensed drinking area, which opened to the public late in July. The new Westfield Whitford City complex at Hillarys, a northern beachside suburb of Perth, is home to Whitfords Brewing Company, self-described as the first brewery to operate in an Australian shopping centre. Whitfords came into production in October, although the associated bar opened in September, supplied initially with beer from its sister establishment, Northbridge Brewing Company in central Perth. The remote military outpost and now popular eco-tourism resort of Exmouth, 1200 kilometres north of Perth, acquired two microbreweries in 2017. Off the mark first was Froth Craft restaurant/microbrewery in the town’s centre, which began production in June but escaped my notice when I was preparing my half-year report. Froth was followed closely by Whalebone Brewing Co., which opened in October in an industrial shed on the southern edge of the small town. Together with Rocky Ridge Brewing, which opened near Busselton early in the year, these make five new breweries altogether for Western Australia in 2017. 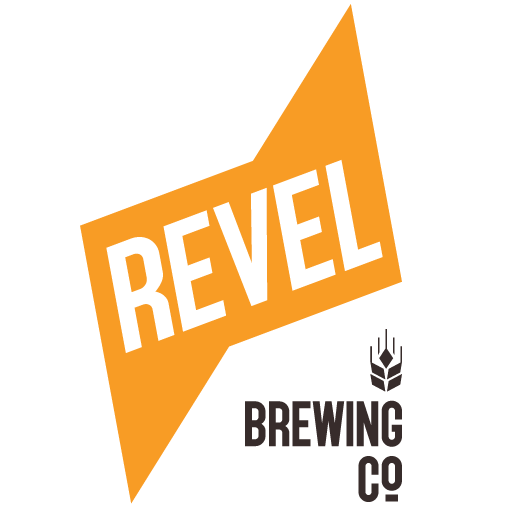 Several new breweries were in planning or nearing commencement in South Australia late in 2017, but only three seem to have started brewing during the second half-year. One is Hobo Brewing, a project of well-known South Australian beverage manufacturer Bickfords Australia Pty Ltd. Bickfords installed a 10-hectolitre brewery from German-based equipment manufacturer Krones at its Salisbury (northern Adelaide) headquarters, and launched the Hobo Brewing brand and range of beers in August. Bickfords also bought Vale Brewing during the half-year, taking over as of 1 November, and are planning to establish another small brewery on Kangaroo Island. Together these actions represent a much more serious and considered entry into the beer business than the company’s brief fling in 1995–96 when it bought the equipment from the former Old Lion Brewery at North Adelaide and launched Red Ant lager. Mismatch Brewing put through the first brews at its new home in the Adelaide Hills just before Christmas. 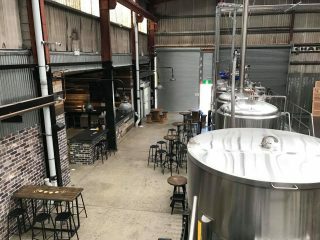 The company began producing beer early in 2014, but until now has brewed at the Big Shed Brewing Concern in the Adelaide suburb of Royal Park. Mismatch operates a 35-hectolitre brewhouse from Premier Stainless Systems near the small Hills town of Nairne, sharing the site and packaging facilities with a distillery and other beverage producers. Across the St Vincent Gulf from Adelaide, at Minlaton on the Yorke Peninsula, Watsacowie Brewing Co. opened its brewery and cellar door to the public early in December. The tiny town of Minlaton is surrounded mainly by wheat and sheep farms, but is also at the heart of Australia’s premier barley-growing district, making it an appropriate site for the new beer-making enterprise. Watsacowie is the first new brewery to appear on the peninsula, plans by Yorke Brewing to open at nearby Warooka several years ago having failed to be realised. Added to Beer Garden Brewing, the only new starter in SA in the first half of the year, these make four breweries for the state altogether in 2017. New player Bonehead Brewing mashed in its first brew just before Christmas at its premises in Kensington, in Melbourne’s inner north-western suburbs. The new brewery is expected to open to the public this month (January). 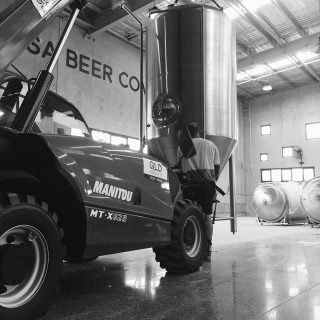 Malt Shed Brewery opened its premises at Wangaratta in July 2017, but brewing was conducted in Canberra (Zierholz) and Mansfield (Social Bandit) until very recently. The outfit’s own 300-litre system at its Wangaratta brew-pub was not fired up until December, or that was the plan, with the house beer to become available in January. At Fingal, on Victoria’s Mornington Peninsula, a brewery has been included in the redevelopment of the former Freedman-owned Markdel horse-training facility. St Andrews Beach Brewery, as the racing-themed beer production establishment and tourist attraction is called, came into production late in November, using a 25-hectolitre Il Mastro Birraio plant from Italian manufacturer L. A. Inox. The venue opened to the public a week before Christmas. Cider will later be produced in addition to beer, and for the purpose the former 1200-metre racetrack has been planted with thousands of apple and pear trees. In the north-east of Victoria, Bright Brewery now has a second production facility. Business having outgrown the capacity of the original brewery, which came into operation in 2006, a new, much larger brewhouse has been installed at a separate site in a nearby industrial estate. It will cater for the majority of demand for the firm’s products, while the old kit will continue to do service at the brewpub for new and experimental brews. Added to the five new starters in Victoria in the first half of the year, these make nine breweries for the state altogether for 2017. Former ‘gypsy brewer’ Capital Brewing Co. put down roots during 2017 in a factory building in the Canberra suburb of Fyshwick, less than two kilometres from the long-established Zierholz Premium Brewery, which opened in the same suburb in 2006. 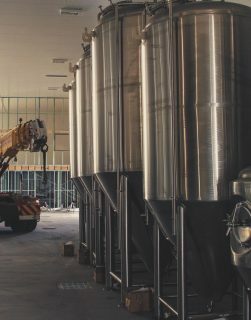 The first Capital brew was put through the firm’s 25-hectolitre Premier Stainless Systems brewhouse in August 2017, and the venue opened to the public in September. The Capital Territory also has a new brewpub as of very recently. 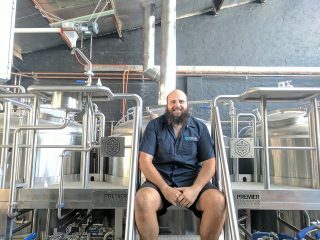 Commercial beer production began in October at a small brewery installed at the Pot Belly bar, Belconnen. The first beers, sold under the Wignall Brewery brand, were launched in November in conjunction with the bar’s 40th birthday. Capital Brewing and Wignall Brewing were the only new breweries opening in the ACT in 2017. The reputation of Sydney’s inner southern suburbs as the scene of much of the city’s microbrewing action was enhanced with the opening of Frenchies Bistro and Brewery at Rosebery, and of Sauce Brewing Company at Marrickville. Food-focused Frenchies Bistro and Brewery opened to the public in late August, and began using its on-site brewhouse earlier the same month. Frenchies is one of many food-related businesses to set up shop in The Cannery, a new retail complex at Rosebery housed in sprawling industrial buildings once occupied by the Rosella Preserving and Manufacturing Company (famous for its soup, sauces, preserves, etc.). After having started in 2016 as a gypsy brewer, Sauce Brewing Co. began production in 2017 in its own facility at Marrickville. The new brewery, equipped with a 20-hectolitre Spark brewhouse, was formally opened in October by the mayor of the local Inner West Council, who promised support and encouragement for small-scale breweries in his area. Nevertheless, Sauce operations have since been hampered by the same council’s planning department, which has sought to severely restrict the operating conditions for the brewery’s taproom. The matter is currently under review. Far beyond the metropolis, Pioneer Brewing was established during the year at Bowan Park, west of Orange. Owner, Peter Gerber, has created a brewery in a large shed on his farm, and is also having a crack at growing his own barley for malting. Brewing began mid-year, and the product is principally for wholesaling to district pubs and other licensed outlets. A new 17-hectolitre brewhouse was subsequently installed, and was brought into service in November, the original plant being retained for pilot brews. Camel Rock Brewery and Cafe is a new addition to the BIG4 Wallaga Lake Holiday Park at Wallaga Lake near the south coast town of Bermagui. Beer production commenced using a 50-litre pilot brewery, pending installation of a 10-hectolitre system, delivered in July. Added to the five new breweries in NSW in the first half of the year, these four later additions make nine altogether for the state in 2017. The following is also worthy of mention, although I am not counting it as a new start-up. The former King Street Brewhouse at Darling Harbour was transformed during 2017 into the All Hands Brewing House, a change that involved the replacement of the timber-clad English-made Firkin brewing system that was installed in the premises in 2003–04 with shiny new 12-hectolitre kit from Premier Stainless Systems. This venue has had a volatile history since its establishment in 2003 as a James Squire Brewhouse, a joint venture with the Malt Shovel crowd. Very briefly, Malt Shovel pulled out of the arrangement in 2010, after which the brewing equipment was sold to the owner of the premises, which were renamed King Street Brewhouse. Beer-making was eventually resumed under the Red Tape Brewing Company name. The relaunch of the place as All Hands Brewing House happened in November 2017. The original Firkin equipment has been redeployed by Watsacowie Brewing Co. at Minlaton in South Australia (see above). Brisbane’s northern suburbs gained two new breweries during 2017, first with the opening of Hub Brewing at Geebung, and next with the creation of White Brick Brewing at North Lakes. Hub is essentially a brew-on-premises homebrew shop, but possesses a producer/wholesaler licence, allowing the sale of its products to the general public, so it merits inclusion in this roundup. White Brick Brewing opened at the end of November in newly-built commercial premises at North Lakes. The brewery is principally a production facility, but offers retail sales and has a tasting bar for limited on-site consumption. White Brick operates a Spark brewing system. At Yeerongpilly in the southern suburbs, Helios Brewing Company opened in mid-December just a stone’s throw away from Slipstream Brewing Company, an early 2017 new starter. Helios installed an 18-hectolitre brewhouse from Premier Stainless Systems, and started brewing at the end of November. The brewery is powered, as its name suggests, largely by Queensland sunshine, a commodity for which the state is renowned. Malt Brewing opened to the public in mid-December, close to the Brisbane River in Oxford Street at Bulimba. The new brewery is about 500 metres west of the site of the former Oxford 152, Bulimba’s first and only other microbrewery, which operated for a few years in the 2000s. Contrary to a commonly-held belief, former breweries that operated under the names Bulimba and Bulimba Ferry in the 1880s were in fact on the opposite side of the Brisbane River in Teneriffe, not in the present-day suburb of Bulimba. 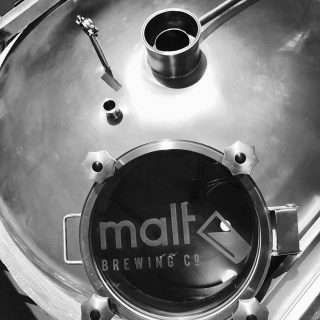 Malt Brewing fired up its on-site Spark brewing system in November, just a little ahead of Helios. On the Sunshine Coast, north of Brisbane, three new breweries came into production in the second half-year. The Lion arm of Japanese brewing giant Kirin installed a 12-hL brewhouse in the Imperial Hotel at Eumundi, in partnership with the pub’s owners, during the year under review. Brewing began there early in the second half-year and the beer began to flow at a formal launch in August. The town of Eumundi first became famous in brewing circles in the late 1980s when the independent Eumundi Brewing Company Pty Ltd established and operated a small brewery at the rear of the Imperial Hotel. It is incongruous that the present revival of brewing at the hotel is at the hands of one of the mega-brewers with which the original Eumundi Brewing Company had been created to compete. The Copperhead Restaurant and Brewery opened for business at Cooroy in August 2017. Copperhead is first and foremost a restaurant, but with a small on-site brewery, rather than a brewery with an eatery attached. The brewery is based on a 200-litre Braumeister system, and operates as the Cooroy Brewing Company. 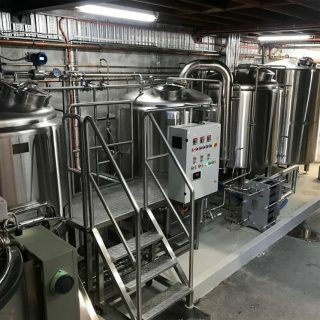 Also on the Sunshine Coast, Noosa Beer Company began production just before Christmas in its purpose-built premises at Noosaville where it has installed an 18-hectolitre brewing system. The company has adopted Land and Sea Brewery as its trading name, apparently to avoid confusion with Noosa Brewing Company, whose brewery is presently under construction only one kilometre away, and is expected to open early in 2018. To the south of Brisbane, Lost Palms Brewing Company came into production in the Gold Coast suburb of Miami around the end of September, and opened its brewery and taproom to the public in November. Added to the nine new breweries in Queensland in the first half of the year, these eight breweries bring the total for the state to a very impressive 17 in 2017. I commented in July that apart from in Queensland there had been a distinct reduction of activity in 2017 compared to the previous few years, and speculated that we might be witnessing the beginning of the inevitable slowdown of growth in Australia’s microbrewery sector. This interim observation seems to be supported by my final tally for 2017: 46* overall, comprising five in Western Australia, four in South Australia, nine in Victoria, two in the ACT, nine in New South Wales, and seventeen in Queensland. No new breweries are known to have appeared either in the Northern Territory or in Tasmania during the year. Even if I have missed a few, the annual increment for 2017 is still significantly smaller than in 2015 and 2016. The total number of small breweries in the country, however, continues to grow, albeit at a reduced rate, and now is pushing on towards 400, a figure that may be reached in 2018. *Editor’s note: Thanks to input from Brews News readers, we were able to add another three breweries to Brett’s 2016 tally, arriving at a total of 49 openings for the year. They are Buttons Brewing in Ulverstone, Tasmania; Red Bluff Brewers in Lake Bunga, Victoria; and Mitta Mitta Brewing in Mitta Mitta, Victoria. Red Bluff Brewers began brewing on NOV 5 2017 and selling in December. Lakes Entrance Victoria. 500L brewhouse. Thanks for the heads-up Damian. I will pass this on to Brett. We have had a busy 2017 at Premier Stainless Systems. The Noosa Beer Co is also a Premier kit! We checked on that and they were not expected to be operational on their own kit til January. Jetty Road in Dromana Vic just snuck in opening the day after St Andrews. Two new breweries on the Mornington Peninsula in two days. We were unable to establish whether they were brewing on their own kit before December was out – can you clarify? Do you mean Sunshine Brewery in Maroochydore? Looks like we left them out somehow! Jetty Road Brewing in Dromana, Victoria opend to the public during December 2017. There have also been some closures in 2017 (2016 and 15 as well). It would be interesting to discover what the net gain in new breweries is for each year. Hi Richard, we’d like to do a follow-up on closures (which are harder to monitor). Which ones are you aware of? 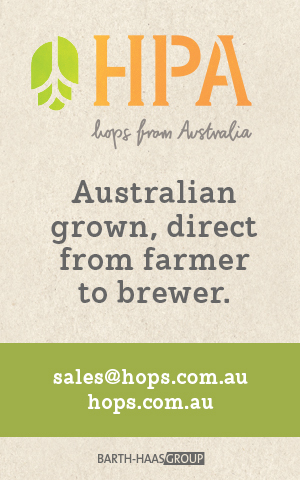 Congratulations to Australian beer producers! Only last year in my state of Minas Gerais – Brazil, we left 50 breweries for 80 and 1,500,000 liters / month for 1,850. This market deserves! Let there be more ! !